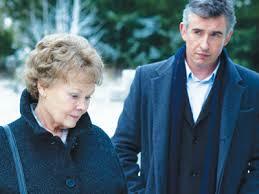 I saw Philomena and loved it. I have had The Royal Tenenbaums on my list to watch for years but the family keeps kiboshing it. Must sneak it in one day. Oh, The Royal Tenenbaums is fun for the whole family. You should definitely try and trick them into watching it. I really liked Philomena much more than I expected when I started, I had heard that Judi Dench was great but the movie as a whole wasn’t much, I found it quite engrossing though. I liked but didn’t love Moonrise Kingdom, it does have its charms. I can’t stand the Wilson brothers and I often find Paltrow noxious so I’ve given Tenenbaums the skip however it’s thought so highly of I may break down someday and watch. My main three are a mix of comedy and drama but my extra doesn’t know what it wants to be and ends up a mess…I included it as a warning should you ever stumble upon it as I did. Loggerheads (2005)-Three separate vignettes look at an adoption story from different angles. Feeling unsure and unsettled Grace (Bonnie Hunt) returns home to visit her mother and search for the child she gave up for adoption years before. Young drifter Mark (Kip Pardue) begins a relationship with a handyman while trying to help endangered loggerhead turtles survive. Elizabeth (Tess Harper) struggles with defying her pious minister husband to seek out her estranged adopted son. On a Mother’s Day weekend in North Carolina their three stories converge. Dishonorable Mention: Happy Mother’s Day, Love George aka Run Stranger Run (1973)-What starts out as a quiet drama about a young man, adopted at four days old, returning to the Nova Scotia coast of his birth to search for his roots takes an extreme wrong turn about 3/4 of the way through and becomes a slasher flick for no discernible reason. Up until then it’s not a bad little film, with a very strong performance by Cloris Leachman, in a terrible black wig, as a sad, beaten down woman but that severe shift in tone scuttles the movie completely. How this ever attracted a cast of such quality, aside from Cloris there are two other Oscar winners-Patricia Neal-chewing scenery like crazy, and a brunette Ron Howard as well as Bobby Darin in his last role (as a fry cook!) is a mystery. There are some beautiful shots of the Nova Scotia area but this is a strange mishmash of a movie. Thanks for the recommendations! I haven’t seen any of those. As for Tenenbaums, nobody does their own schtick in a Wes Anderson film so you don’t usually have to worry about not liking the actors. 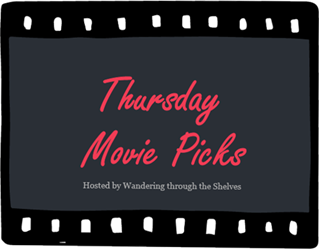 Oooh Moonrise Kingdom has been on my watch list for so long and I’m kicking myself now for not watching it before this week’s theme! Thanks, Allie! I highly recommend Moonrise Kingdom but don’t worry about not seeing it in time for this week’s theme. I was really stretching it with this one. Nice picks! I especially love Moonrise Kingdom, that’s my favorite Wes Anderson movie. I really need to give The Royal Tenenbaums another try. I hated it when I first saw it, but that was before I developed better taste. lol Maybe I’ll like it better now. I really think that you’ll like it now that you’ve developed a taste for Wes Anderson. Haha I’m sure he’ll find it worth the wait. 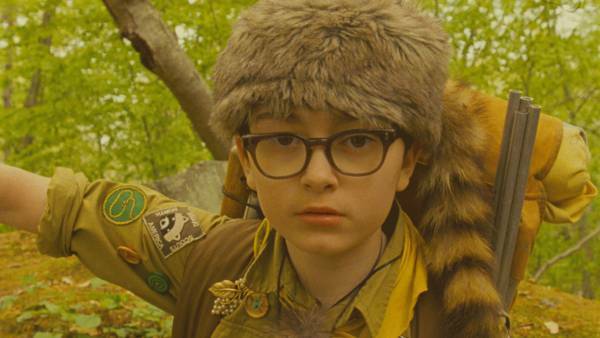 So many nods to Wes Anderson, but I love those movies, especially the quirky Moonrise Kingdom. People always saya Philomena is good but till now I haven’t even seen any second of it. Not even the trailer. Gotta check that out soon. It really is good. I’ve seen it a few times now. Very different and much sadder than Moonrise Kingdom though. I’ve only seen Moonrise Kingdom and that’s an awesome film. Been telling myself for years to watch The Royal Tenenbaums. I just never get to it. Moonrise Kingdom is just amazing. It’s so sad and funny- how you have this beautiful love story between two ten year olds contrasted with sad depressing adult relationships. I think you’ll really like The Royal Tenenbaums if you liked this. Thanks! I almost picked Annie. Tenenbaums and Moonrise Kingdom are two of my favourite films let alone Anderson films! Loved “Philomena”! Hated “The Royal Tenenbaums”!